Travel is what it is, and sometimes time is short. Maybe you are stopping over the city on a cruise, or maybe you only have one day in Barcelona, on your way somewhere else. Maybe you are on a short weekend break. Who knows? But you’ve chosen to explore Barcelona despite the lack of time and you are decided to use your time wisely. Be time-efficient. Get the best possible overview of the city, in case that’s your only opportunity to visit (but hoping it’ll just make you want to come back to explore more in-depth!). Unfortunately, it’s not easy to plan a day Barcelona itinerary that won’t be exhausting but will still allow you to cover a lot of ground… Guidebooks do have sample itineraries, but they often they are too detailed and try to make you cross off things of “their” list, not yours. 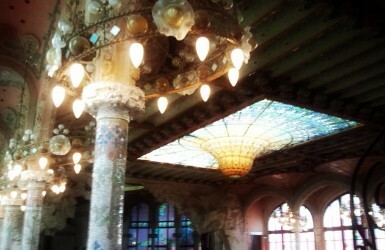 Today we want to share our expertise and help you design your perfect day in Barcelona.  Do not take our full day Barcelona tours (and even less our tours for half a day in Barcelona) as an example of what you can cover on your own – because you’d be disappointed and stressed out. In our private tours we can achieve much more than you’d do on your own – because we know how to move around, we can help you skip lines and we have everything ready for the day to go smoothly. If a private tour is outside of your reach, follow the recommendations in today’s post, instead. Ok, I see you telling me: “But Marta, I want something authentic, not a tourist trap!”. And here is the thing: La Rambla is a pretty street… when the crowds aren’t there yet! This is why I’m recommending you to head there first in the morning – 9AM better than 10AM, but 10AM is still a decent time to arrive – no later or you’ll have the fight the crowds! Start in Plaça Catalunya and walk it down past the press quiosks all the way to the Flower Market. There you’ll find the entrance to the famous Boqueria Market, that you’ll be able to visit unless it’s Sunday (on Sundays, head to Petritxol street and enjoy a hot chocolate with churros breakfast). By 9AM the vendors are still setting up their stalls, and by 10AM locals start arriving to do their grocery shopping. Check out this post about the market to make sure you don’t miss its hot spots. And after you are done with the market (it won’t take longer than 20 to 30min) continue down la Rambla until you walk over a colorful mosaic by Miró. Turn around and look up until you see a building with umbrellas and a statue of an Asian Dragon – Casa Bruno Quadras. 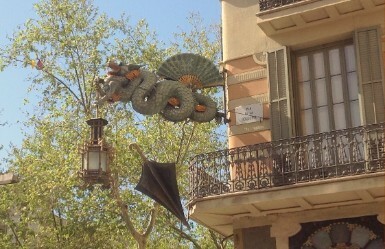 Now you’ll leave la Rambla taking the street that starts beside the building with the dragon sculpture – Cardena Casañas st. You’ll soon find yourself in front of Santa Maria del Pi, around which opens a lively plaza. Several streets stem out of it, Palla st. being the one that will take you faster to your next stop: the Cathedral of Saint Eulàlia. It won’t be 12.30 yet, and that means that you’ll be able to go inside for free (except on Sundays, when there’s mass going on and visitors are not allowed). The exit is done through the cloister into Bisbe street. From there you might want to take a quick detour to see Plaza St. Felip Neri with its walls still bearing the holes caused by the explosion of a bomb during the Spanish Civil War. Or go explore the nearby Jewish Section. Otherwise, just walk down the street under a scenic neo-Gothic bridge over the street. You’ll soon reach the political center of Barcelona: Plaça Sant Jaume, with the City Hall and the Generalitat Government Building. If in need of a pick-me-up, in Llibreteria street you’ll find one of the best gelato places in town: Gelaaati di Marco. Otherwise take Paradís street (maybe entering the patio of a corner building to see the ruins of the Roman Temple), and go around the apse of the Cathedral enjoying the view of its gargoyles high up. Bonus if you go across the courtyard of the Palau del Lloctinent to reach the medieval Plaça del Rei with its medieval Royal Palace. You made it! You covered the best of the Old Town in little more than 3 hours! And you must be hungry by now… Now jump across Via Laietana into the Born district to have lunch in one of our favorite tapas bars: Bar del Pla. It’s always safer to have a reservation, but if you get there around 1PM, you might still be able to get a table there. Don’t miss their patatas bravas and any of their croquettes. If they can’t take you, never mind: go down Montcada street and as you leave the Picasso Museum and you’ll find a handful of decent tapas bars there, too. Need some dessert? at the end of Montcada street you’ll find yourself behind the church of Santa Maria del Mar: go around it and in front of the main façade you’ll find Bubo Bar and a bit more hidden to the left of it, Bubo cake store – they got the prize to the best chocolate cake in the world 2010. My pleasure.  Find here more ideas for places to eat in the Gothic Quarter and the Born district. 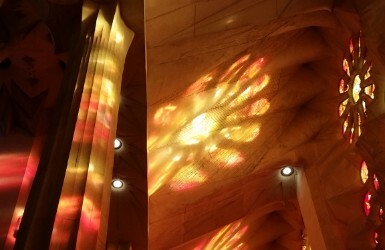 Now you’ll need to have purchased tickets in advance for the biggest must-see in town: Sagrada Familia, architect’s Antoni Gaudi’s masterpiece. And I don’t take excuses: it’s not one more church, and even if it’s not finished yet it’s not enough to see it from outside. 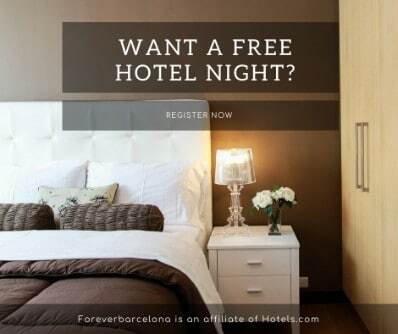 Do as I say, and make it the only site where you need to spend your money if you are coming to Barcelona for a day only. Or you’ll regret it the rest of your life – promised! Tickets are timed so do these: figure out at what time you’ll want to be in Plaça Catalunya to start your day (9 or 10AM), then add 5.5 to 6 hours to figure out for what time you’ll need your tickets. That is enough time to walk the Old Town, have a relaxed lunch with dessert, and take a cab to the church. If you’d rather take the subway (Yellow line to Passeig de Gràcia, then Purple line to Sagrada Familia), make it 6 hours to be safe. If you’ll want to join a tour or take the elevators, add them to your ticket as you purchase it, otherwise you won’t be able to do that on the day of your visit. You’ll be inside for 1 to 2 hours. When you are done, take the subway 2 stops until Diagonal station (or a 10min taxi ride), to spend the rest of the afternoon seeing Gaudí’s apartment buildings La Pedrera / Casa Milà and Casa Batlló from outside, and window shopping along Passeig de Gràcia, the Barcelona version of the Parisian Champs Elysées. There’s many options for dinner, but if you are in town for only one night, I’d recommend to book a table in a restaurant with views over the city, so you can have a long lasting memory of the beauty of Barcelona at night. Go for one in an area you haven’t visited yet, so you can scratch it from your list: Torre de Alta Mar or Marea Alta for the waterfront, or Martínez or El Chalet for Montjuic. Both are areas that are easy to cover on your own, the downside of Montjuic being that you’ll need a taxi to get there and I wouldn’t recommend to walk it around at night (not that it isn’t safe, but it’ll be boring) – however the views are spectaculars. The advantage of the waterfront is that it’s easier to get there using public transportation and after dinner you can go for a lovely walk by the marinas and the beach to walk off your food. AND BONUS! Do you need some ideas for what to do that night besides eating out? The Palace of the Music is a gorgeous modernist concert hall designed by Gaudi’s competitor and teacher, Domènech i Muntaner. Attending a concert there is an unforgettable experience – not just for the music but specially for the magical setting, its mosaics, sculptures and impressive stained-glass skylight (lit at night). A very active concert hall, there are events going on pretty much every night, and including all kind of music from classical to jazz and pop. 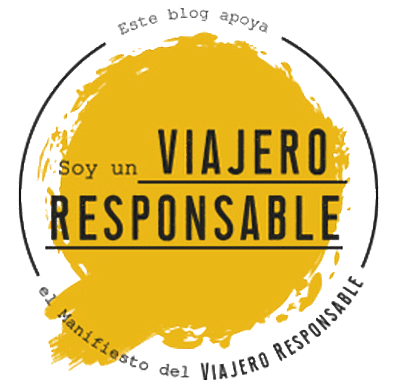 Our favorite, though, are their regular Flamenco and Spanish Guitar concerts – definitely not tourist traps but high quality shows that will touch your soul. But if you are going to attend a concert, then forget about the restaurant with views unless you are happy to eat as late as locals do. You can instead plan an early dinner in the nearby Quatre Gats café. So what about you? Head to the comments below and tells us: what do you think about our Barcelona day plan and do you see a way to make it even better?